Even with his several nonprofit-dependent initiatives such as the Social Innovation Fund and the Promise Neighborhoods program, President Obama has not given an explicitly nonprofit speech, outlining a national vision and program for the charitable sector. 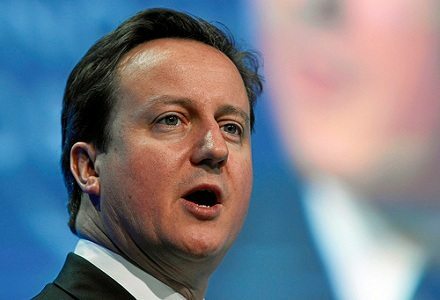 His U.K. counterpart, Prime Minister David Cameron, has been promoting a national plan for charities called the “Big Society,” and he recently gave a speech on the concept as he announced the launch of Big Society Capital, a fund to support social enterprise initiatives capitalized by the funds left in dormant bank accounts. 10.56am: …Politicians have often talked about promoting the voluntary sector. But today this government is going to make it happen. Big Society Capital will get the City involved in social problems, he says. The best ideas “come from the ground up”. When you give society and charities power, “good things happen”, he says. 10.58am: Cameron says change is difficult…(P)eople wonder whether the voluntary sector really has the capacity to take over services. People suggest that it should just fill in the gaps, and that the state-controlled monoliths should continue to run services like health and education. But that’s not true, he says. He cites Greenwich Leisiure, Macmillan Cancer Support and the Big Issue as three examples of social enterprises that deliver services on a large scale. Big Society Capital will help many more social enterprises deliver services on this scale. Second, people says that the charitable sector is a patchwork. It cannot provide services on a national basis. But Big Society Capital will allow charities to prove that their business models work, and that they are fit for expansion, he says. 11.03am: Cameron says 40% of charity income came from the state in 2010. That is not sustainable, he says…Government funding may be going down. But other funding for charities is going up, he says. Cameron also says he wants to see more philanthropic giving. He defends the plan to cap tax relief on charity donations. This happens in the US, he says. But the government will consult on how this is implemented. 11.05am: Cameron says critics also argue that businesses do not want to get involved in social enterprise. But that is not true, he says. Businesses are investing in a better future. Social impact jobs will make this easier for them. Cameron says he wants to mesh the “risk-taking verve of business” with the entrepreneurial talent of social enterprise. Social impact jobs will allow firms to make a good return from social initiatives that save money in the long run. He cites the Peterborough Prison Bonds as an example. 11.09am: Cameron is taking questions. Q: What is your benchmark for success? How much should Big Society Capital lend? Cameron says he has got the idea up and running within two years, which is reasonably fast. It is important to follow the results. How many social enterprises investment? How do they grow? How many jobs are created? They should not be too risk-averse, he says. Some social enterprises will succeed. But some investments won’t work. That is a good thing, because it shows that some risks are being taken. Q: What can the voluntary sector do to make Big Society Capital really work? Cameron says charities should promote the new model. The voluntary sector has, in the past, been under-capitalised. They will “love this when they see it”. But there needs to be a culture change, he says. He turns to the health reforms. The government wants to open up its services. If you want social enterprises to play a larger role in the NHS, you have to change the structure of the NHS. Commentators sometime do not understand how the big society and health reforms are connected. But they are. Q: Will you amend your plans for a cap on charity donations? Cameron says the government will work with the voluntary sector on how this cap is implemented.